Captain Hooter is a veteran American cannabis connoisseur who has been living in the Netherlands for three years. 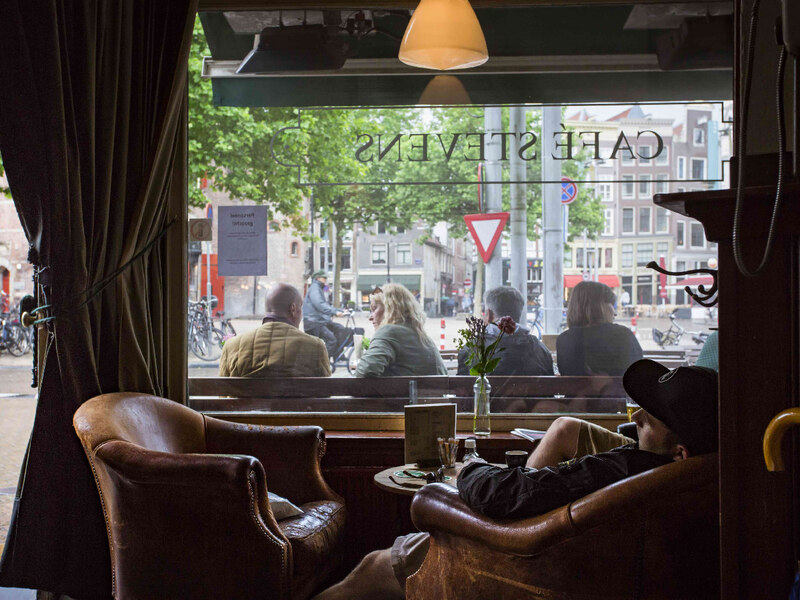 When a friend asked him what he thought was Amsterdam’s best coffee shop, he decided to visit all 167 of them. “Wow. What a mess,” he tells BBM in a revealing interview. A few months ago, Captain Hooter reached out to me via Twitter to learn more about the Dutch cannabis and coffee shop policy. We met over lunch and he told me about the project he was embarking on: Visiting every single coffee shop in Amsterdam to write a book about his experiences. Within a few minutes of us meeting, I could tell he had what it takes to complete such an epic mission. When it comes to weed, this guy knows his stuff. 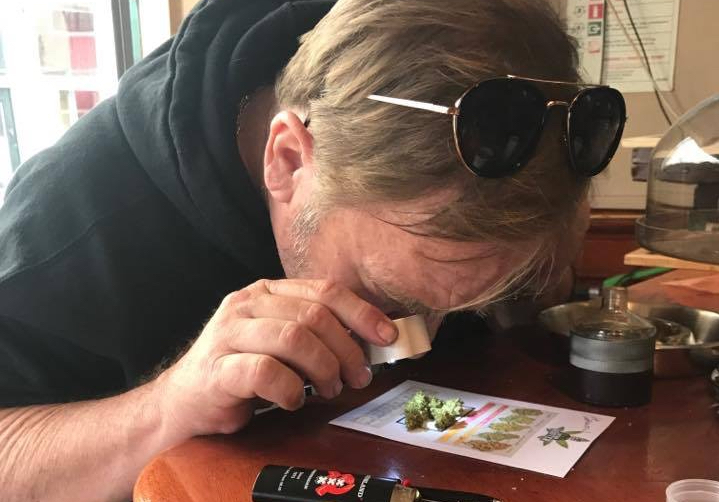 Back in the ’90s, he and his wife were regulars at the High Times Cannabis Cup in Amsterdam, during the golden years of this legendary event. The Captain knows both the Californian and Canadian cannabis scenes inside and out and has traveled extensively to smoke marijuana all around the world. The result of his unprecedented undertaking, Captain Hooter’s Connoisseur’s Guide to Amsterdam Coffeeshops, will be released in the fall. I sat down with the Captain to talk about the book, his experiences on the road, and the differences between the cannabis scenes of Amsterdam, California and Canada. BigBudsMag: What was your first ever experience with cannabis? Captain Hooter: In the womb. The family legend is that my mother smoked joints every day during the pregnancy. My father commented to me much later in life, “You know those crack babies they talk about on TV? Well, you would have been a weed baby if they tested for it back then!” Other than that, I was 16 in California when I bought my first lid, one ounce of weed. And it was more like buying tumbleweeds as I recall — nasty commercial Mexican with more seeds and stems then bud. 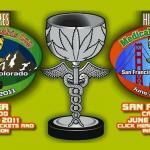 BBM: How did you end up traveling to Amsterdam to be a judge in the High Times Cannabis Cup? Captain Hooter: Probably like all the others, I was a regular reader of High Times magazine. I loved to read Ask Ed, recipes by Chef Ra, and the weed-life wisdom from editor Steven Hager, all of who were already legends in my eyes. 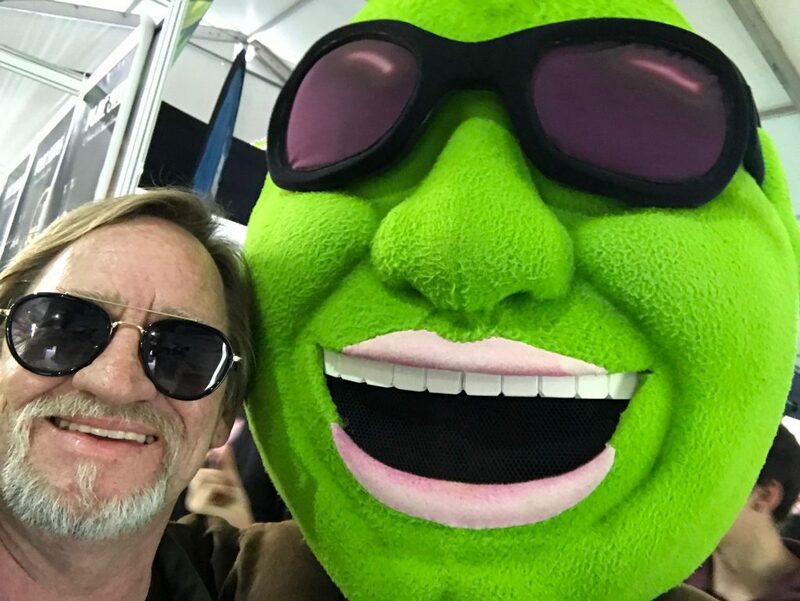 The Cannabis Cup was a chance to meet some of them and also smoke what was — at that time — some of the best bud in the world. 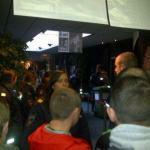 BBM: When did you attend your first Cannabis Cup in Amsterdam? Captain Hooter: 1995. My wife and I took judging the cup very seriously. We arrived a week early so we could get to all the participating coffee shops early and get the scoop on what to look for. I documented everything we tested that year and labeled every sample joint we tried. We really didn’t have any real knowledge back then — we were just enthusiasts. But we knew enough that we picked that year’s big winner, White Widow from the Green House, as our overall winner as well. We met Steven Hager and had our minds completely blown over and over again during the days of the cup. We also met Chef Ra, the ganja cooking master, and since my wife had previously lived in Jamaica and spoke patois, they had a chance to sit and compare notes, to my future benefit. We came back again [to the Netherlands] several more times over the years for cups and business, falling in love with the people and the city more and more each time. BBM: Tell us about when and why you finally made the permanent move to the Netherlands. Captain Hooter: We moved here three years ago, after having spent the majority of the last 10 years in British Columbia, Canada. We lived in Southern California prior to that. Through our business there, we had been fortunate enough to travel all around the world to just about every fabulous city you can think of, but I had always wanted to live in Amsterdam — not just a visit. We also figured, correctly, that it’s a perfect spot to have as a base while you travel around Europe. To me, it’s still the coolest city in the world. BBM: What’s it like for a Californian to live in the Netherlands? Captain Hooter: In the beginning, it was difficult adjusting to the different cultural realities. We don’t speak Dutch, and as hard as we’ve tried to learn, we still sound ridiculous. Because almost everyone speaks English, we adapted quickly and made many new friends who helped us and made us feel welcome. As far as cannabis is concerned, I really did think I was moving to a more liberal country. I was lulled in by the social experiences I had enjoyed here. But I realized pretty quickly that, in fact, I was taking a huge step backwards. The drop-off in quality and convenience and overall delivery [of cannabis] was pretty dramatic. There is just so much more of everything there in California and Canada and absolutely anything is possible. I miss that last part the most. Many of the other “things” that I missed initially, I’ve come to realize were really just “things” and lazy conveniences in many cases. I love living here. I have met and learned from so many cool people from different countries, cultures and religions, and I am very grateful. It has allowed me to improve personally and professionally. BBM: What prompted you to visit every single coffee shop in Amsterdam? Captain Hooter: A friend came to visit us from Victoria, Canada, and as soon as he arrived, the first thing he asked me was: “OK, what’s the best coffee shop in town?” I realized I didn’t know, because I hadn’t been to them all. The entire concept for the book was created right there that night. I would do everything by the book, so to speak. I would go to five coffee shops a day, buy one gram of whatever was the best bud offered, and rate the shop by how good that bud was, how clean and convenient [the coffee shop] was, how professional [the staff] were, how nice they were, and how much they cared about the customer overall. All based on a worldwide scale of quality. A connoisseur level. BBM: What’s your general impression after having visited and tested all 167 coffee shops? Captain Hooter: Wow. What a mess. In my opinion, the ridiculous and nonsensical laws, along with the mass closures of coffee shops a while back, have hurt. It has created this one-of-a-kind bizarre sellers’ market, where many of the coffee shops have no incentive to care at all. They don’t have to. They are just going through the motions, and it really shows. Many employees and managers I witnessed were just bitter to even have to talk with people. You could see they literally hated being there and appeared to loathe every person walking through the door. They were so rude to people, it was crazy! In the normal world, places like this would be out of business in no time. But here, they have an unlimited stream of new business coming to their door. So, regardless of how they treat the cannabis or the customer, they’re successful. Unfortunately, I’ve experienced this over and over and over and over again. You know, I feel bad for so many little coffee shops who do care and would like to do more, but they’re just so petrified of being raided by the police or the tax people. When I made even basic suggestions to many of them on how to improve one element or another, I was told pretty much the same thing: “This is the way we do it. We can’t do anything that might make us more popular, or bring in too many customers. If we do, we will have problems with those guys.” Again — just wow. On the other hand, I was very happy to find several — 18 out of 167, to be exact — excellent coffee shops who have raised the bar, provide great bud and hash, and regularly demonstrate the original friendly Amsterdam hospitality that I fell in love with many years ago. These shops are kind and they care. I am happy to bring any visitors from out of town to any of these shops and I know they will have a great time, with good people looking after them. BBM: What are the most worrying or annoying things you’ve experienced at the Amsterdam coffee shops? Captain Hooter: Initially, my biggest worry was the bud quality, which was a major drop-off from the dispensaries in California and Canada. I think it’s gotten better. But the lack of basic bud knowledge about the storage and handling of bud still amazes me. The storing and selling of the bud out of the nasty, caked-on, cancer-causing plastic containers — I mean, just google it! Plastic is bad to store bud in. Everybody in the world seems to know that, but I still see it everywhere here. I saw a coffee shop recently that doesn’t even cover the bud at all. I have never seen that in any other place in the world. This coffee shop just leaves it wide open in plastic containers completely exposed, all day. I don’t understand this as it hurts them as much as the customers. The other cultural part I had to get used to — and that is still annoying — is the process of budtenders putting their raw, uncovered fingers all over my bud. Budtenders here [in Amsterdam] often touch and handle bud like they are the police patting the bud down for weapons. I had honestly grown quite accustomed to beautiful girls pulling buds out with gloves or using chopsticks out of glass jars, so as to not damage the trichomes. [American budtenders] all treat the buds with respect, like they’re handling someone’s medicine. Even when they are super busy with customers. BBM: What would you say are the main differences between the cannabis scene in Amsterdam and that of California? Captain Hooter: Well, number one, I can legally buy and keep much more bud in California. The law there allows adults 21 and over to possess, privately use, and give away up to one ounce of cannabis, and to cultivate no more than six plants for personal use at their residence. I have never been a grower so this doesn’t affect me, but as a side note, you can buy clones of all the top strains at many top dispensaries. I can have bud delivered to me, usually quicker than you can get a Domino’s pizza. And this isn’t just, “We’re giving you this as a gift,” or not “tolerated.” It’s the law. The people stood up, protested, and most importantly, voted to make it legal. Another big difference in California is that cannabis is treated much more like medicine there. A friend of mine, an older gentleman, had an ounce of his premium medicine stolen out of his house in Orange County a few weeks ago. He called the police, filed a report and the police went out, found the culprit, acquired the bud, and gave it back to him. On the same day! 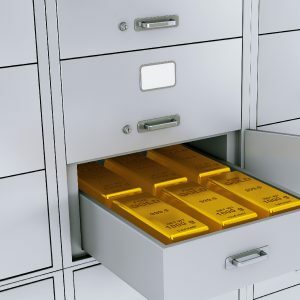 As of January 1st, California expunged the criminal records of anyone convicted of a cannabis crime, and [is now considering setting up] a banking system for legal dispensaries to use outside the federal banking system to help the industry grow. 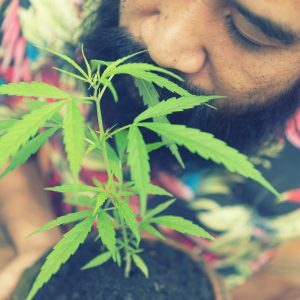 All the top entrepreneurs on the West Coast are finding new inventions, designs, services and techniques to invest in supporting the booming medical and now recreational cannabis industry. Everyone is excited, everyone is innovating and growing. Anything is possible. Except a proper cannabis social scene — and this is still what Amsterdam has that is so very special. Few have this liberating freedom yet. BBM: Final question. So, what is the best coffee shop in Amsterdam? Captain Hooter: Ha! You’re going to have to buy my book! I will tell you that I have different “Best of the Best” winners, based on different scenarios. For example, I picked the best coffee shop to go to that is closest to the airport, which one is the best from the train, before 10 a.m. and best after 10 a.m., best coffee shops closest to each of the major hotels in town. And I covered all the suburbs. The book also includes a map that shows the best things to eat and drink next to those coffee shops. I even highlighted all the coolest things to see and do when you’re stoned here. I tried to think of everything a cannabis connoisseur reader would want to know when visiting this amazing city.